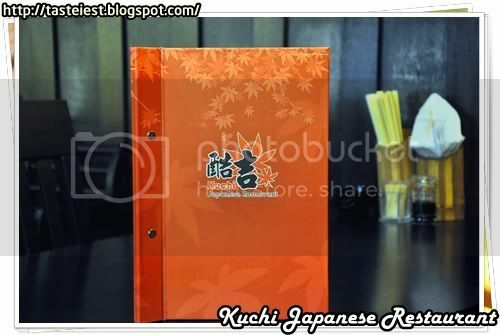 We are glad to be invited by Alex, Kuchi Japanese Restaurant owner to review their food, as well we like to thanks Willy from 寂寞教室 to coordinate for this invited review. 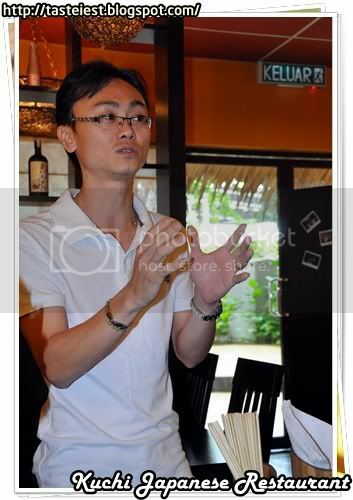 Alex grown up from a fisherman world where he own a boat that catch fresh seafood and serve in restaurant. 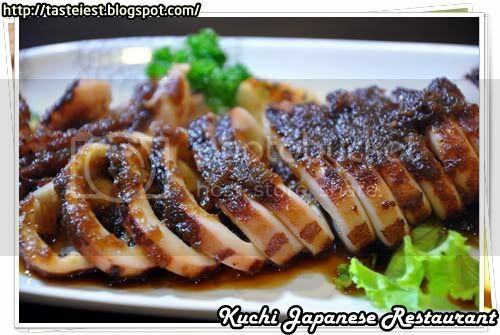 Unfortunately during our visit their signature dish octopus and crap sashimi was not available, octopus and crap sashimi was not available in any other restaurant in Penang as I know and Kuchi Japanese restaurant is the first to serve it. 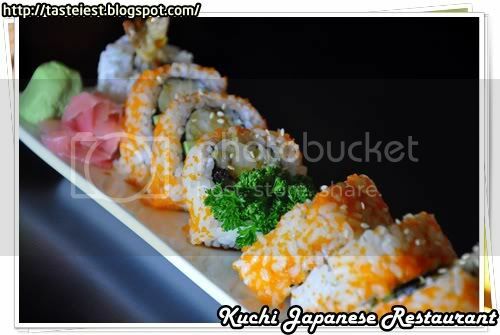 Special Maki RM11 (Sushi), portion are totally share-able and the sushi is has the right pressure to keep it firm. 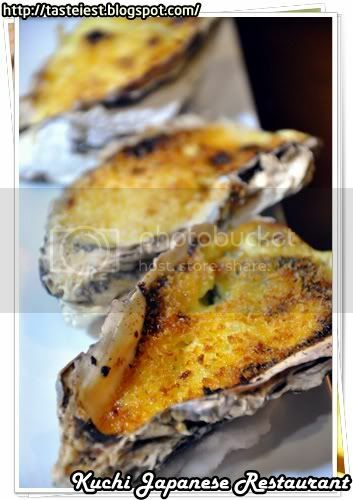 Kaki Guratan RM18, fresh oyster import from Thailand baked with butter. 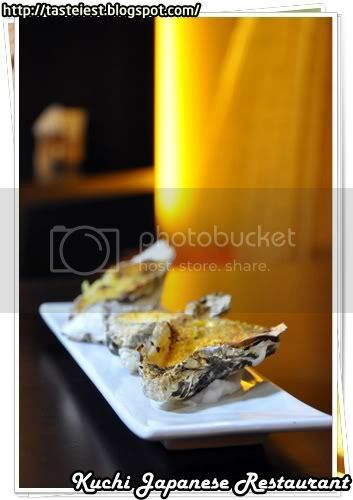 The oysters had a texture of soft and melting in mouth with the flavorful butter taste, you know it good when everything just melts in your mouth, butter flavor goes down so smoothly and blends so well. 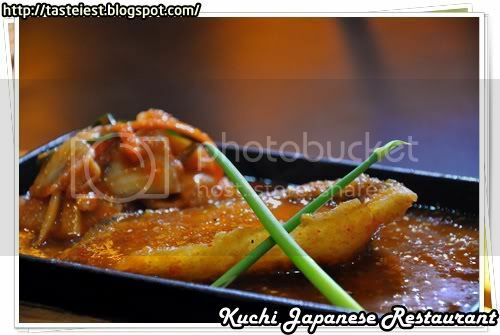 Goya and Kimuchi RM20, it taste almost the same as Gekikara Ramen which gave a spicy and sweet soup taste. 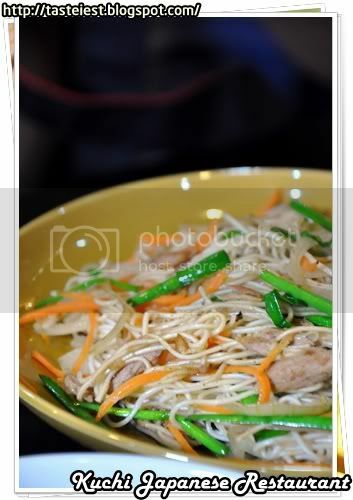 We value the noodle use which taste much more better than normal ramen, it call Inaniwa Udon. 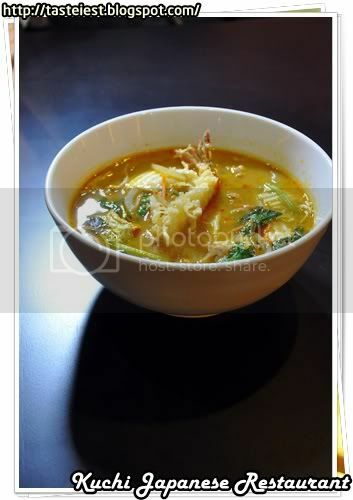 According to the chef, the broth cook with vegetable, fruit and chicken bone, that is how the sweetness extract and make it so tasty. 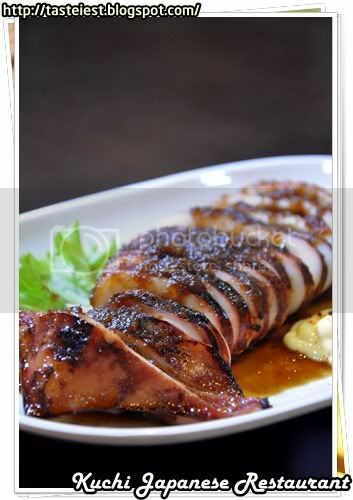 Name Ika Teriyaki RM25, it is one of the most challenge dish to prepare as slightly overcook will make it very chewy but Name Ika Teriyaki in Kuchi Restaurant was grilled enough to seal the juicy freshness, top with sweet sauce and side serve with mayonnaise. 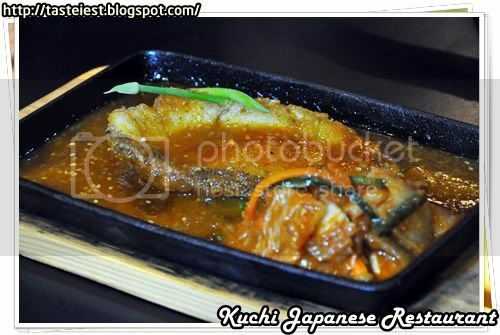 Ginmutsu Teppan Yaki RM26 , Cod fish deep fried served with Kimchi in hotplate, kimchi and code fish sauce is both very strong flavor and it doesn’t match to each other but with a bowl of rice, taking some kimchi first follow by cod fish will be a good combination. 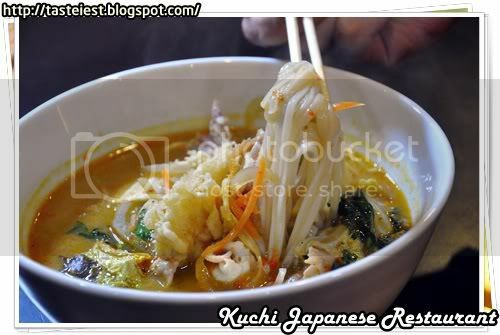 Kimchi is home made by Kuchi Restaurant and is so delicious, it not too spicy and I like the most is the crunchiness of napa cabbage. 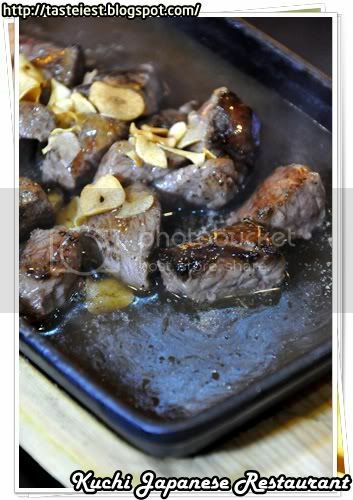 Saikoro Steak RM24, beef cube cook in hot plate garnish with deep fried slice garlic. 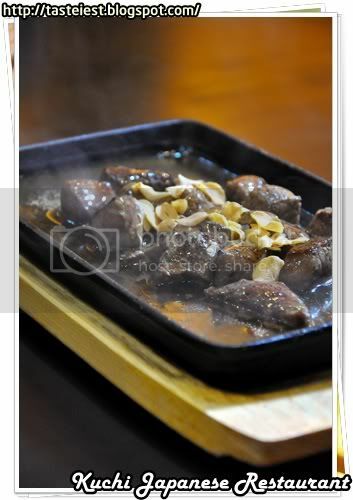 A dish that must be consume immediately after served else the hot plate will overcook beef. 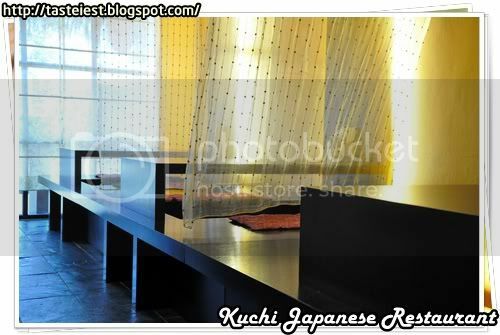 Tatami seat available for Japanese feeling. 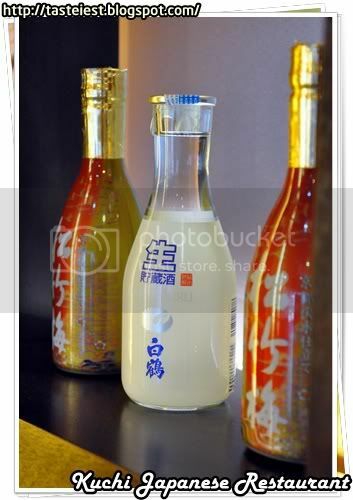 Various type of sake available for selection. 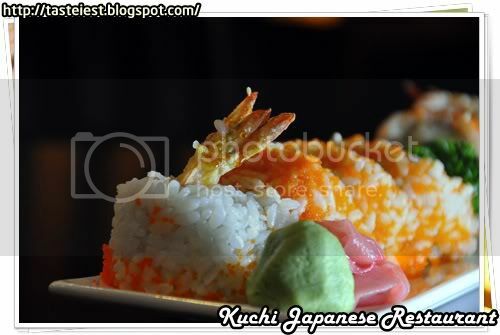 We really enjoy dining here and food is good, we will definitely come back to try the Octopus Sashimi.